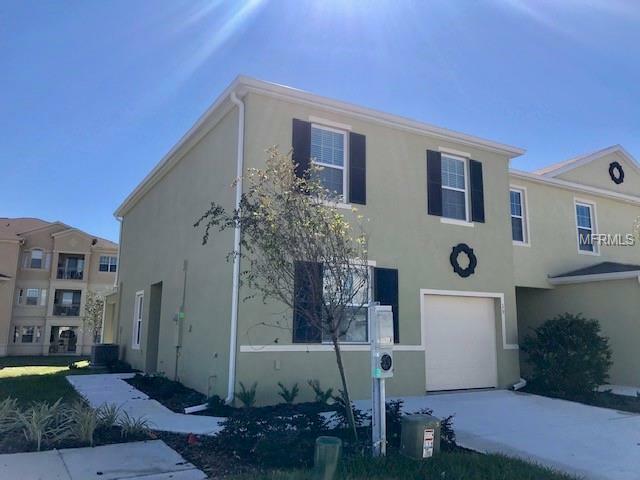 Brand new Townhouse with water view! Located at Lake Bluff in Davenport just walking distance from Champions Gate, Restaurants, shopping areas, banks, gas stations and enjoy easy access to I-4. Lake Bluff community is a gated community with community pool and stoning water views thru out the community. The townhouse equipped with all brand new appliances and blinds. Others mandatories fees apply. Listing provided courtesy of Vs International Properties.